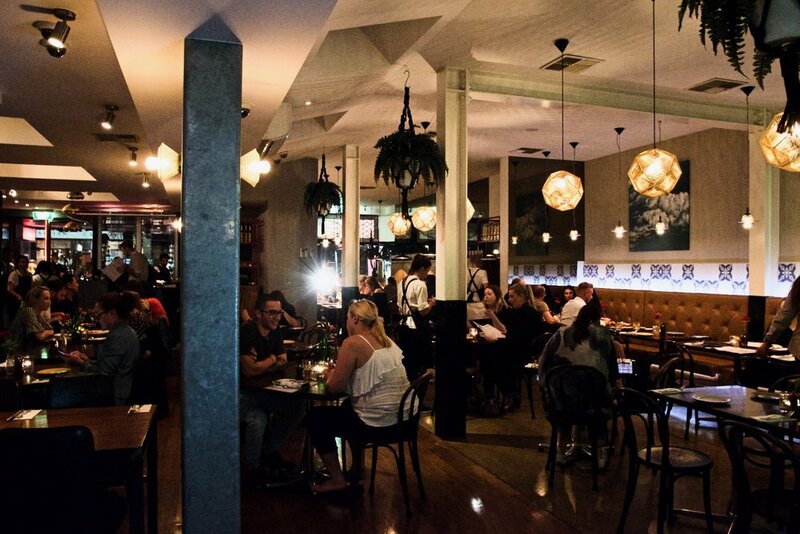 Rococo is a vibrant chain of restaurants in St Kilda and Hawthorn. High energy dining in a unique space, Rococo has a cosmopolitan glow about it with a downtown design. The kitchen serves delicious Italian cuisine which centres on the preparations of authentic Italian dishes paired with fresh ingredients. The drinks menu is also impressive with a great selection of cocktails, beers and an enviable wine list. After more than a year since our last visit, we were excited to re-visit Rococo on Acland Street to sample their latest menu. Our verdict? These guys are still killing it. To start, a range of excellent starters whet our appetites. Of particular note was the char-grilled calamari ‘agrodolce’. Cooked to absolute perfection, the tender calamari boasted ample charring and was served with chilli, garlic and lemon marinade alongside grilled eggplant, sweet and sour capsicum agrodolce and pistachio nuts. Simply beautiful. When it comes to the main affair, diners are spoilt for choice. 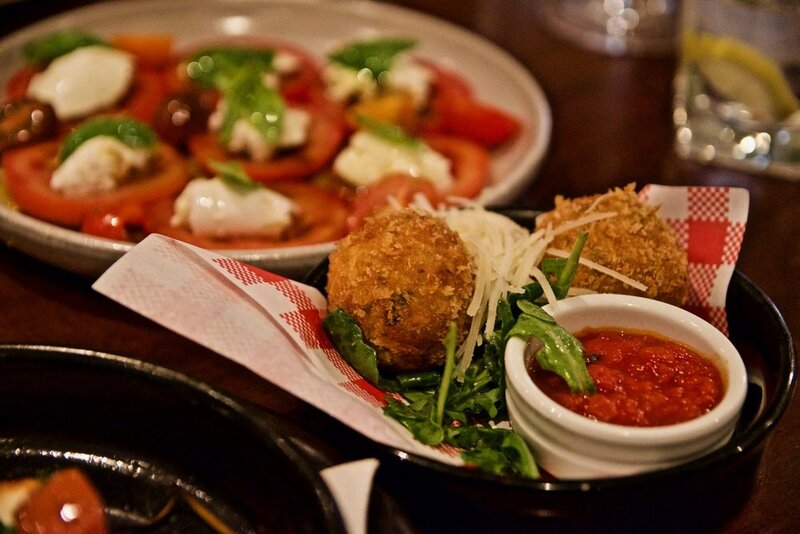 Whether you love a good pasta, pizza or a hearty main dish to enjoy, Rococo has you sorted. As expected of any good Italian restaurant, Rococo is particularly good at producing quality pasta dishes. The handmade seafood tortellini was cooked to perfection with the pasta expertly cooked and retaining a slight residual bite. We loved the generous inclusion of beautifully cooked fresh chargrilled seafood, slathered in a creamy sauce of lemon, parsley, dill, olive oil and white wine. The handmade ricotta gnocchi was similarly delicious. We loved the depth of flavour from the use of san marzano tomatoes, basil, garlic, mozzarella and fresh herbs with the crispy pangrattato adding a great textural element. A visit to Rococo would be incomplete without one of their outstanding pizzas made in their very own Morello Forni woodfire pizza oven (all the way from Genoa Italy). The Salumi Due pizza we ordered was picture perfect in appearance and outstanding in taste. Layers of San Marzano tomato, virginian ham, calabrese salami, mozzarella di bufala, rosemary, creamed artichokes and caramelised onion created a delightful fusion of flavours that would keep any pizza purist happy. Encircled with a puffy crisp crust, this pizza was superb. From the mains section, we were not disappointed by the dish of Tasmanian salmon. Think perfectly cooked crispy skin salmon on a bed of warm potato salad, rocket, spinach, char-grilled zucchini brought together by an acqua pazza vinaigrette. Simply divine. Our evening concluded on a sweet high with a trio of desserts. Each were beautifully made. The Frangelico ice cream sundae was amazingly decadent. 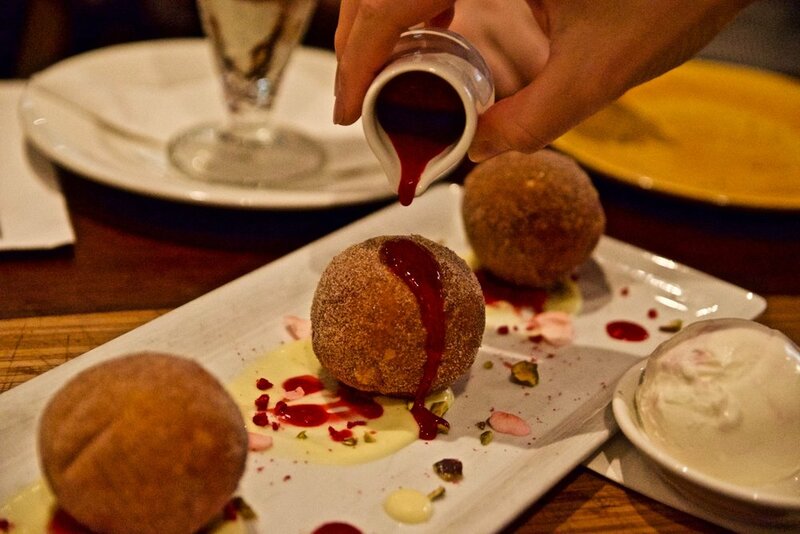 The ‘Zeppole’ Italian doughnuts on the other hand was a fun and playful plate, perfect to share. Whatever you do, do not go past the cannoli siciliani (our favourite dessert) which features fresh whipped ricotta, grand marnier, candied pistachios, dark chocolate and pistachio gelato. Each element was well-executed but the real wow factor came when each was eaten together - absolutely delicious! Rococo serves cooking that comes from the heart, infused with fresh ingredients, traditional flavours and innovative preparations; blending contemporary Italian style with classic Italian influence.